Your website may look great on a laptop but what about on a small smartphone or a tablet? It probably looks vastly different. 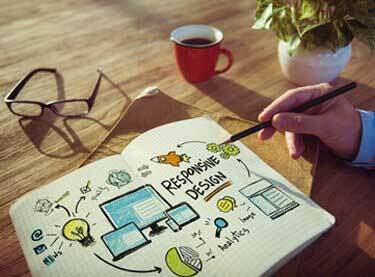 That’s why it’s so important to integrate responsive web design (RWD) into your overall web design process. For that, rely on WebDesign309 for the tools to achieve this correctly and accurately. We can make your website translate well to mobile devices. It’s all part of our mobile development services. As a business owner in Grand Rapids, you want assurances that your customers will be able to view your website correctly on all devices. If something doesn’t load right on their phone, they could get frustrated and go elsewhere. Thus, we offer the responsive web design Grand Rapids MI wants. 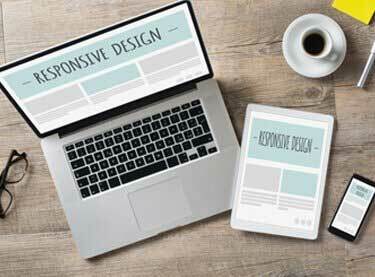 In a nutshell, responsive web design is a strategy that ensures the website design will respond to the user’s behavior and environment based on screen size, platform and orientation. So, as your potential customers switch from device to device, your site should automatically accommodate for resolution, image size and scripting abilities. Consolidate analytics and reporting to more readily track user journeys, conversion paths, funnels and redirections. With responsive web design, you can stay ahead of the curve as the demand for media-rich mobile Internet and apps grows. In conclusion, to learn more about our responsive web design services, contact WebDesign309 in Grand Rapids at 616-931-5009. We can give you a free, no-obligation website analysis and quote to get you started.